Did you know that there are a plenty of products out there on supermarket shelves that are eco-friendly and safe for you to use around your house or dorm? Baking soda continues to be the most popular natural and eco-friendly home cleaning agent. Mix baking soda with two tablespoons of freshly squeezed lemon to remove sticky greasy stains on kitchen counters, toilets, and floor tiles, or use it to clean window screens, carpets with stains, ink stains on clothes, and fish tanks. 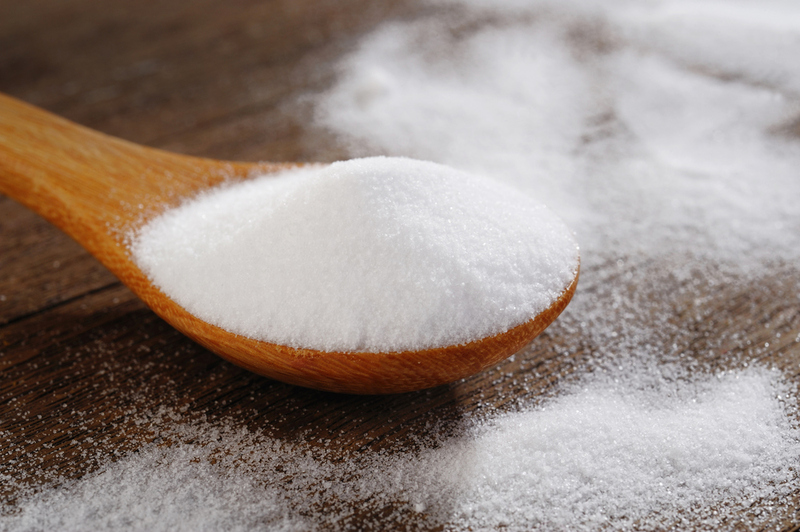 As baking soda has the ability to soften water, break down proteins and is slightly alkaline in nature, it can also be used as a deodorizer and be used to neutralize scents that are acidic in nature. Baking soda can also be used to unclog drains: Pour some baking soda into the drain, followed by vinegar (white vinegar or apple cider vinegar). Wait for about 15 minutes before you flush the mixture with boiling water. The bubbling that you might see in the drain is the chemical reaction of the mixture with the clog in the drain. White vinegar is another extremely popular eco-friendly home cleaner, because of its acidic nature. It can readily remove stains from glass surfaces, dirty windows, and mirrors. A few drops of diluted vinegar can be sprinkled on glass or mirrors and wiped away using old newspaper. In its more concentrated form, white vinegar can also be mixed with lemon juice to unclog drains. Eucalyptus oil offers an environmentally friendly replacement for synthetic household cleaners. Simply combine water with eucalyptus oil and you will have an eco-friendly home cleaner which can be sprayed on nearly any surface to wipe away the dust and dirt in your home. The same mixture can be used as a disinfectant for the toilet. The oil, by itself, can remove sticker residues from glass, offers a great smell when a teaspoon is mixed into your laundry washer, and helps to remove stains such as paint, grease, and ink from your clothes. Eucalyptus oil can also work as a stainless steel cleaner. Luffa (or Loofah) sponges are also great alternative cleaning products. Unlike most exfoliating sponges, luffas are not made of plastic. Luffa is actually a plant whose fruit can be used in place of a conventional sponge for exfoliating your body or cleaning in the kitchen. You might be amazed to know that the fruit of the Luffa plant can also be eaten, used to make mats, or even slipper insoles. Luffa seeds can be planted yearly and with your own luffa garden, you will always be able to clean your house and body, saving the earth one less piece of plastic at a time. What do you do to keep your cleaning habits sustainable and eco-friendly? Are you going to try any of these suggestions?